Plenty of people are allergic to foods. But you can also be sensitive to certain ingredients. 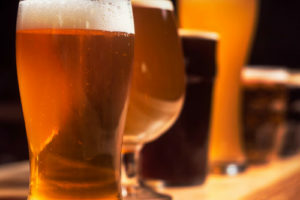 For this reason, beer can make some people sick – even if they drink moderately. Here’s how you can tell if your beer is causing you problems. Plenty of people are allergic to foods. But you can also be sensitive to certain ingredients. For this reason, beer can make some people sick – even if they drink moderately. “These people usually don’t have true allergies, but have more of a sensitivity to one of the components that make up the beverage itself – for example, a basic ingredient, chemical or preservative,” says family physician Mark Rood, MD. True food allergies can cause unpleasant symptoms such as hives, stomach cramps, vomiting and diarrhea. At their worst, allergies can cause life-threatening emergencies such as loss of consciousness or anaphylaxis. Fortunately, beer “allergies” are rarely life threatening. 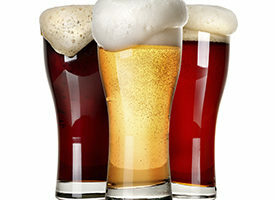 Beer sensitivity does cause symptoms similar to those from allergic reactions. They include hives, nausea or vomiting, diarrhea, sneezing, wheezing and abdominal pain. What about GMOs in beer? There’s been a lot of discussion on social media about the potential harmful effects of genetically modified organisms (GMOs). They are found in many processed foods – and in some types of beer. Many beers contain genetically modified corn. So some say people should stick to organic beer. But if you avoid beers with GMOs, will that reduce your chances of beer sensitivity? Not necessarily, Dr. Rood says. “It would be very difficult to prove that GMO-containing beers are more allergy-inducing than GMO-free beers. Or that ‘organic’ beers are categorically superior just by being organic,” he says. Another rumor making its rounds on the Internet is that European beers are safer than beers from U.S. breweries. Dr. Rood says it’s not that simple. “Staying with European beers will not prevent sensitivity in everyone,” he says. 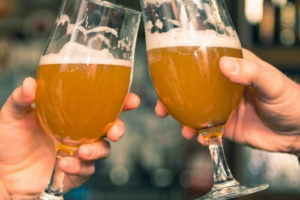 “As allergic tendencies vary from person to person, it’s best to find a brand or type of beer that doesn’t cause any problems for you personally. Then stick with that variety. If you tend to experience allergy-like symptoms after drinking just one or two beers, it’s best to see your doctor. If you have symptoms of anaphylaxis — a severe, life-threatening allergic reaction — seek immediate medical attention. With anaphylaxis, severe itching of the eyes or face can progress within minutes to more serious symptoms. But in general, use common sense. Don’t worry too much about what beer theories are hot on the Internet. Sample away and find beers that you like. If you find some that don’t agree with you, steer clear of those varieties in the future.